Still lamenting the loss of Richard Skinner, Russ and Jono, Graham Dene and Nick Abbot from the original Virgin Radio 1993? Pull yourself together! Step on those rose-tinted glasses and smell the fairtrade coffee, as comedian Russell Kane and BAFTA-red-carpet-presenter Angela Scanlon head up the weekend schedule for the brand new reboot of Virgin Radio UK, with potentially more of a pop-rock slant than its predecessor. The refreshed Virgin Radio launches on 30th March 2016 at 6am, with Edith Bowman at breakfast. Russell Kane - stand-up comedian, best known as the host of three series of BBC3’s Live At The Electric and regular appearances on BBC1’s Live At The Apollo takes the helm every Saturday between 10am and 1pm for a two-hour bonanza of quality tracks, comedy skits and star guests. Co-host Angela Scanlon is due to co-present a reluanched Robot Wars on BBC2 with Dara O'Briain. Ex Xfm'er breakfast host Danny Wallace will be dropping by occasionally as part of the The Virgin Radio Takeover (Sundays, 10am-1pm), as part of a show where personalities take charge of the station and play their favourite songs. Johnny and Inel charge up your Friday nights 7pm-11pm, while identical sisters The Mac Twins will present on Saturday evenings (7pm-11pm), with a mix of music including some old skool and hip-hop. Ben Jones - the only presenter on the re-launched Virgin Radio who featured on the original station - returns to the station for Saturday afternoons. Jon Jackson, known for previous presenting roles on stations including Kerrang! and The Hits, takes on weekend afternoons. Experienced radio broadcaster Georgie Rogers presents a new music discovery show (Sundays, 9pm-12 midnight), loads 3 hours with an eclectic mix of new music and alternative classics. Taking cues from sister stations across the UK network, Best of Total Access (Sundays, 7pm-9pm) - hosted by Elliot Holman - features a round-up of big-name interviews from artists such as Little Mix, One Direction, Ellie Goulding and Rita Ora. Danny Mylo and Rosie Madison have presented the breakfast show for Bradford's Pulse 1 together for almost two years and will now also bring the latest music and fun features to the airwaves on Virgin Radio too, broadcast every Sunday, 4pm-7pm. The weekend and evening presenters join weekday line-up Edith Bowman (6am – 10am), Jamie East (10am – 1pm), Kate Lawler (1pm – 4pm), Matt Richardson (4pm – 7pm), and Tim Cocker (7pm – 10pm). How can I receive Virgin Radio on my DAB digital radio? To receive DAB digital radio services, you need a type of radio designed to pick up digital broadcasts over the airwaves through its built-in aerial. We've advice on choosing a good model on our pages, or scroll down the page for some quick links to both DAB and wi-fi receivers. 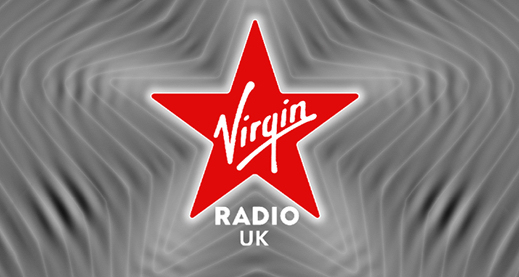 Virgin Radio is part of a new bundle of radio stations available in many parts of the UK. Own one? 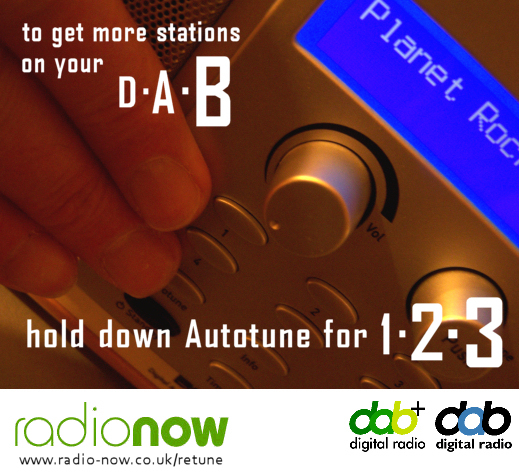 find out how to retune your DAB radio.